The QQ190 RTF FPV Racing Drone is the perfect solution for those who want to spend more time racing and less time tinkering. Competitive out of the box, with the top performing gear, this racing drone gives the seasoned pilots a stable and reliable platform, and the newcomers to the hobby an easy way to start racing as soon as they open it. The QQ190 RTF FPV Racing Drone is ready to transform your expectations of the ready to fly racing drone. Traditionally, racing drones have been complicated to build, difficult to troubleshoot, and complicated to fly. We are long time builders and pilots that have wanted to put an end to the complications of building drones. We set out to create a competitive racing drone that is both modular in design and easy to work on. The Result is the QQ190 RTF Racing Drone. The QQ190 RTF FPV Racing Drone is ready to fly out of the box – you simply add a radio system such as an FrSky or Spectrum, FPV goggles or other viewing device, LipPo battery and you are off to the races. The QQ190 RTF FPV Racing drone features an advanced electronics package engineered and manufactured by Team-Blacksheep. Team Blacksheep is a known leader in the drone racing industry and their stifling innovation is leaving the rest of the industry behind. The Drone features a state-of-the-art electronics package including a Colibri F3 flight controller, 2-in-1 20A escs with BlHeli-S firmware, and an integrated power-adjustable video transmitter. It features 2 camera options, the base QQMicroCam CMOS camera, and an upgraded high grade camera option. Everything is tied together with full graphic TBS Core Pro on-screen display (OSD) that not only gives you fighter pilot style gauges overlayed onto your video feed, but also allows for easy configuration of most drone settings on the fly without the need for a computer. Building, flying, and repairing racing drones has traditionally been difficult due to the level of technological know-how, that one needs to know to get the job done. The solution is to is the QQ190’s modular component system. The QQ190 RTF eliminates the hassle that comes with building racing drones and makes it so that components are easily changed on the fly. Motors can be removed and replaced in minutes. The powercube racing stack at the heart of the QQ190 can be taken apart and repaired with minimal hardware removal. In fact, you can rebuild the entire drone using only 3 tools. QuadQuestions has teamed up with Team-Blacksheep, T-motor, and many pilots around the world to come up with the QQ190 RTF Racing Drone. We have followed the trends of the drone industry and worked with top pilots first hand to find out exactly what works and what doesn’t. After hundreds of hours, and many redesigns, trashed ideas, and community feedback, we have come up with the QQ190 RTF The result is a drone that works for Top tier pilots and beginners alike. The QQ190 RTF FPV Racing Drone is symmetrical in many ways, from having equidistant motors, to having a center mounted mass. This means that the copter flies like a fighter jet, turns on a dime, naturally rights itself, and is balanced from the core. The result of this design is a copter that flies in a way that seems to almost defy physics. Designed to be light weight with speed and agility in mind. The copter spares no extra weight, and therefore packs a punch. 330g. You can be proud to take this Racing drone to the races- prepare to leave your teammates in the dust. Adjustable power from 25mw to 800mw and beyond. 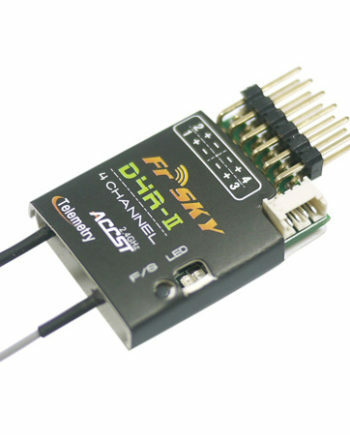 Connects to flight controller to adjust PID settings, loop times, rates, vtx channels, vtx power, and more without the need for a computer. After having flown the QQ190 RTF multiple times along with my many other quads i can honestly say this is one of, if not the best RTF on the market for the average racer looking for the next leap forward into the competitive racing scene. With the solid Team Black Sheep components on the inside, paired with the quality carbon and design from the guys over at Quad Questions, this is a RTF that one can truly feel up to par with custom built racers without any of the complications of soldering components together. The powercube that the QQ190 uses allows for a full no solder required quad that can be repaired with a few simple tools quickly and efficiently. To top that off there is a whole community of QQ190 pilots that come together and help each other in adjusting the tunes available for the quad, creating new parts, and general camaraderie of being a QQ190 pilot. The best thing that i can say about the QQ190 RTF is a saying the QQ team lives by, “Anyone Can Fly” especially with the QQ190 RTF from Quad Questions. Hi John, Thanks for your question. The QQ190 has a Unify Video transmitter on board that transmits a video feed on the 5.8 GHz band. It transmits on up to 40 channels. If you are referring to a radio transmitter- We leave that up to the pilot, the QQ190 works with Spektrum, Frsky, Crossfire, Futaba, SBUS, PPM and most other standard radio protocols for control. Let me know if that answers your question. Hi Chris, You could do this a few different ways, one way would be to enable a serial port to communicate with a telemetry enabled receiver to transmit the data back to the Taranis. I recommend reposting your question at ask.quadquestions.com so that we can write a complete guide on how to do this. QQ190 is a BEAST! Love it! I’ve been flying the QQ190 now for about 2 months or so and its precision, its power, and just the way it flies is hella smooth. I’m into freestyling and this drone just does beautifully for my kind of style, but just recently started practicing speed and precision by doing some race gates aka trees for now till I can afford the gates lol, and I gotta say this drone is definitely a racer as well! its got power! its overall a GREAT drone! not just a good one, especially after how many times I wrecked it! its a beast and still flying nicely! love it! and a huge thanks to Anthony Jacobs for being hella cool and taking the time on explaining things and helping me get my drone up and flying! I give this drone & the customer service i received and keep receiving a 5 star! thanks again guys! Which lens does the high quality camera upgrade come with? Hi, It comes with a 2.8mm lens which is a great choice for most people because it is not so wide that it is distorted, and not too narrow that you can’t see where you are going. Let me know if that helps to answer your questions! Hi Ed, It is a 2.8mm lens. Let me know if that helps to answer your questions! Do you sell replacement frames that match the QQ190RTF? In your blog you imply that the RTF frame is different than the Falcon 3mm frame. If it breaks I want to have replacements ready… Also says “in stock in August” but it is now end of September. Is QQ190RTF currently in stock? THANKS! incredible quad. Been flying anything that can fly since the 1970’s. Been building quads since they first evolutions about 7 years. Now I’ve found the dream machine. You absolutely can’t go wrong with this one. Just pull out the plastic and make the order. Hi. We talked about this earlier in the comments. We recommend to run multishot on the QQ190 RTF. There is really no speed advantage to running dshot . 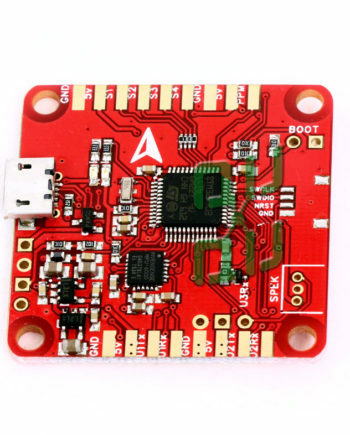 The qq190 ships natively with multishot and it is the fastest protocol supported by the 2-in-1 escs. Yes you can control the drone with your T8J,The QQ190 will work with any radio system that outputs Sbus, PPM, SumD, SumH,CRSF, & Spektrum protocols. The T8J says it outputs Sbus, so you should be in good shape. Is it possible to get the ESC’s that support DShot 600 already on the quad? It is possible, but Dshot 600 isn’t up to par with Multishot which is what the QQ190RTF runs natively. Until Dshot 1200 is widely supported, we don’t think that you will notice a difference, and in some cases, you might notice a decrease in responsiveness when running Dshot 600 as opposed to Multishot. If you still want to upgrade, PM our team at support@quadquestions.com and we will make it happen. Is the quad Dshot ready? You could try running Dshot 300, but we don’t recommend it. Multishot is way faster for now. We will likely begin to advise running Dshot once it gets up to speed with Multishot. Hi, I’d like to purchase this quad. I am in Australia. When will I get it if I purchase now? The QQ190 RTF are in stock, so if you purchase now, it will ship immediately via your requested shipping method. Can I buy just the FC all in one stack? The FC, osd , fpv transmitter, esc’s? Check out the Powercube elite bundle, it is going to be the closest thing. I got the camera upgrade — however the cam is not english (Chinese) . try the 3rd from the bottom of the cam menu- select it and then yaw right to change to English. We will be posting a video soon. Is there an eta on the Sony CCD upgrade? The upgrades should be back in stock the first or second week of April. Hello Chris, We are expecting the shipment to arrive late next week but we are actively taking preorders now on our site. Hi! I want to plug a R9DS receiver but what is the correct number channel that i must use please before binding? 9 Channels is plenty. You will need to use channels 1-4 for pitch, roll, yaw, and throttle, and 5,6 for arm & flight modes. I just got the new Micro Swift from Runcam, it would be nice to go back to the smaller camera pod. Do you guys have any plans to make a mount for this camera? Agreed, we are working on a solution for Runcam owners. We will send out an announcement once available so please be sure to subscribe to our mailing list. Signup for the mailing list. I’m not getting a flight summary at the end of my flights…do I need to install something additional on my QQ190 RTF to get that feature? Is there soldering involved if I were to replace the motors? No soldering is required for motor replacement. We use bullet connectors, so you can easily just swap a motor out without the need for an Iron. I am getting ready to buy a RTF and am interested in the QQ190. My question is can I add a Spektrum Telemetry RX so I can get Rssi alarm? Also I have a Foxeer HS117 and a RunCam Swift already. Can I add one of these or should I still get the camera upgrade as I will use primarily for freestyle. Thank you for your time. Hi Morgan, RSSI can easily be added- Just make sure that you use a receiver that outputs an RSSI signal- You will have to solder 1 wire to make RSSI work. Also, We recommend the upgrade camera, as it is a fantastic cam, and should work well for freestyle. Can you confirm this drone can use 3s or 4s batteries? Does the drone automatically sensor which battery is used, or can you damage by going back and forth with 3s/4s? Hi. You can use either 3S or 4S batteries with the Qq190RtF. It automatically detects your battery voltage when you plug it in and adjusts it’s warnings and setpoints for the cell count. We recommend using 4S batteries for top performance but it flies well on 3S as well and no damage will result from using both types of batteries.